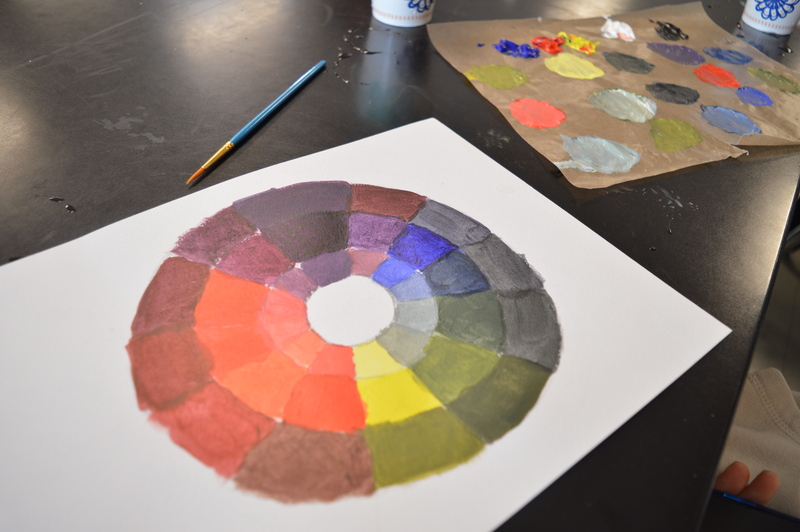 The first project students worked on during Round Two of their Visual Arts Expeditions class was a color wheel. They mixed and blended different colors into the circle, including red, blue, green and many more bright colors. The color wheel that they are working on is simple, but it has so much meaning to it. It is a symbol of peace and creativity. “Art really helps me express my emotions,” Denali freshman Isaac Neri said. Some students say that the Visual Arts class is a “fun” and “entertaining” experience. The students look like they have a blast making creative and bizarre artwork. Students said that the teacher is a “funny” and “enjoyable” person to be around. The artwork that he teaches is very “creative” and “unique,” they reported. “Learning about art is very surprising because you learn about it from the history of art,” said Visual Arts teacher Mathew Scicluna. “Learning about art is very amazing because I found out how important art is in our society,” he added. “There are no boundaries to art,” Neri said.